When choosing tires for your car, two of the most important considerations are quality and warranty. When purchasing any new type of automobile equipment or parts, such as tires, you should receive a clear warranty from the manufacturer. In order for this to remain effective, you must keep the original purchase receipt and follow any instructions as provided with the purchase of your new tires. 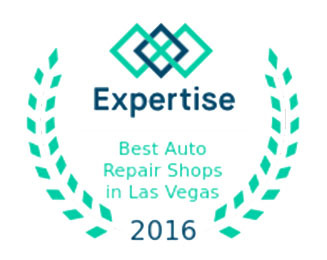 When it comes to selecting a Vegas car service to order and install the tires, you will want to make sure that they offer quality service and have a reputation to match. In an effort to ensure your satisfaction, check out the shop’s Better Business Bureau report. This information, which is free at BBB.com, will provide a detailed history of the repair shop and includes the length of time in business, number of complaints that have been filed within 24-36 months and how many of those were resolved satisfactorily according to the Better Business Bureau standards. When you are ready to purchase, call your local car repair shop and inquire about availability. If the tires that you need are in stock, the technicians may be able to service your car immediately. If they have to be ordered, you will be given a cost estimate and an expected date of arrival. On this date, you should plan to be available for taking your automobile into the shop for servicing. Before agreeing to the order, make sure that you have everything in writing. When dealing with a transaction that involves both parts and labor, you will need to have a receipt that clearly shows the cost of the both the tires and the cost of the actual labor. This will help to eliminate any future disputes over a cost quoted and will make the transaction much smoother. And finally, when choosing tires for your car and a repair shop to install them, you will want to choose a company that stands behind their work. If a car repair shop doesn’t offer any type of guarantee on their work, consider shopping around for another tire shop. As a customer, it will give you great peace of mind in knowing that your hard-earned money is well spent with a company who appreciates your business by standing behind their own.